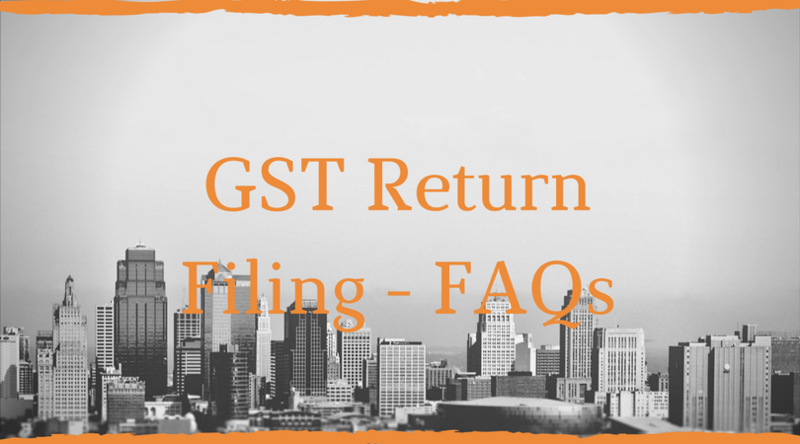 Here we have a few frequently asked questions about GST Return and its filing. Q1. What are the various types GST return stipulated under the Goods and Service Tax Act? Part A: Communication to receiver of goods and services in respect of goods and services procured by it and uploaded by the supplier. Part D: Communication of details of tax collected at source on payments received by the supplier from the e-commerce operator, based on FORM GSTR-8. Q2. Who is required to furnish the details of outward taxable supplies? What is the format in which this GST return is to be furnished? And what is the due date for furnishing the details? The details should be furnished electronically in the format prescribed in FORM GSTR-1. Such returns should be furnished on or before 10th of the succeeding tax period. Q3. What are the details to be submitted while furnishing the details of outward supply in FORM GSTR-1? – supplies made to registered persons and unregistered persons including consumers. – Inter-State supplies to a consumer (non-registered person) where invoice value is more than ` 2,50,000/- should be separately captured. – Consolidated amount of Intra-State supplies to a consumer (non-registered person) for each rate of tax. – Zero-rated supplies, Exempted supplies, Nil-rated supplies, Exports (including deemed exports) and non-GST supplies should each be captured, separately. – Tax liability arising in the current tax period where invoice is not issued in the current tax period (i.e., yet to be raised, in case of advance). – Invoices issued in the current tax period for which tax was already paid earlier (adjusting the previous advances). – Supplies made through an e-commerce website/portal of another company to registered taxable persons and consumers. – The supplier has to mention the Harmonised System of Nomenclature (HSN code) for Goods and Service Accounting Code. Q4. Whether the details uploaded by the supplier in GSTR-1 would be communicated to the receiver? Q5. 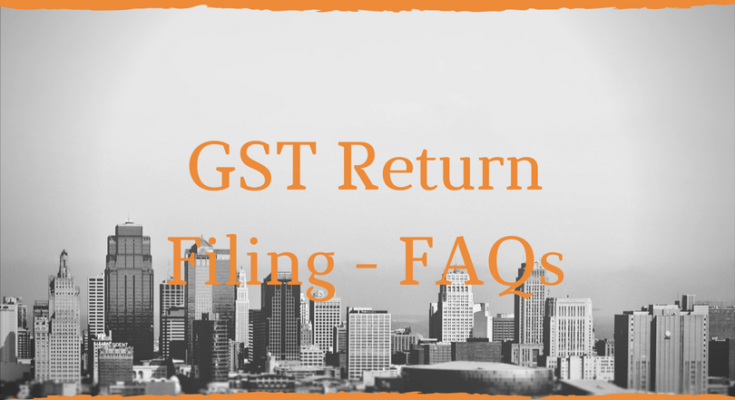 What is the procedure to be followed if the recipient finds that the details disclosed in FORM GSTR-2A are incorrect? Ans. The recipient can verify and validate/modify/delete such details and even add details, and thereafter submit the same in FORM GSTR-2 on or before 15th of the succeeding tax period. Ans. If the recipient modifies/deletes any details, such modification/deletion will be communicated to the supplier in FORM GSTR-1A. The supplier can accept/reject such modification/deletion before 17th of the succeeding tax period. To the extent of such modifications/ deletions, FORM GSTR-1 of the supplier would stand amended. Q7. On verification of FORM GSTR-2A, if the recipient finds that certain inward supplies made by him are not reflected, can he add the details of such inward supplies manually? Ans. In case a recipient finds out that some inward supplies made to him in the taxable period are not being reflected in the FORM GSTR-2A, the recipient can manually add the details of such supplies in FORM GSTR-2. Such additions will be communicated to the supplier in FORM GSTR-1A. 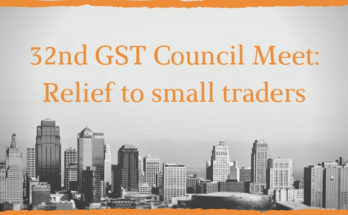 The supplier can accept/reject such modifications before 17th of the succeeding period, upon which, FORM GSTR-1 filed by him would stand amended. Q8. After filing of FORM GSTR-1, the recipient has modified/deleted/added the details. What is the procedure to be followed by the supplier? Ans. Where the recipient has modified/deleted/added any details in his FORM GSTR-2, the supplier will receive a communication in FORM GSTR-1A. The supplier can accept or reject such modifications/deletions/addition before 17th of the succeeding period. If the supplier accepts the modifications/deletions/addition, the details furnished by him in FORM GSTR-1 will be amended automatically. Q9. Whether the details furnished under GSTR-1 and GSTR-2 can be rectified? Is there any time limit for revision / rectification of such details? Ans. It may also be noted that there is no concept of revision of a filed GST return under the new indirect tax regime. However, the details furnished in Forms GSTR-1 and GSTR-2 which have remained unmatched as per Section 42 or 43 can be rectified as and when the error or omission is discovered. However, no rectification is permissible after filing the annual return or the return for the month of September of the following year (whichever is earlier). Q10. Who is required to furnish the details of inward taxable supply? In what format should such details be furnished? What is the due date for furnishing such details? The details should be furnished electronically in the format prescribed in FORM GSTR-2. Such returns should be furnished after 10th but before 15th of the succeeding tax period. Q11. What are the details to be submitted while furnishing the details of inward supply in FORM GSTR-2? – Details of debit notes/ credit notes issued by the suppliers to the person. – Details of inward supplies attracting reverse charge. – Details of goods, capital goods and services procured from outside India. Further, the details of total eligible input tax credit and input tax credit available in the current tax period shall also be disclosed. – Specify the inward supplies on which he is not eligible, either fully or partially, for input tax credit for each invoice. – Specify the quantum of ineligible input tax credit on inward supplies, which are relatable to non-taxable supplies or for purpose other than business, which cannot be determined invoice level. – Supplies received from composition taxable person, unregistered persons and other exempt/nil/non-GST supplies shall be reported separately. – Input tax credit received from ISD, TDS credit and TCS credit. – Input tax credit received on an invoice on which partial credit was claimed earlier. – Where there is a liability to pay tax under reverse charge mechanism even though the invoice has not been received. 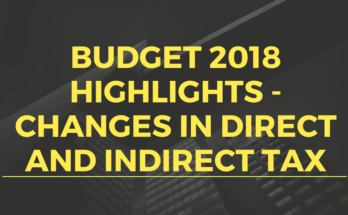 – Where tax has already been paid under reverse charge mechanism in the earlier period but invoice has been received in the current tax period. – Input tax credit reversed along with the reason for such reversal. Q12. What is FORM GSTR-2A? Ans. FORM GSTR-2A is an auto-drafted form and contains the details of inward supplies of the assessee, the details of which have been uploaded by the supplier. It also contains the input tax credit distributed by the Input Service Distributor, tax deducted at source under Section 51 and tax collected at source under Section 52. Q13. Supplier raises an invoice on 30.08.2017 and discloses the same in FORM GSTR-1 for August 2017. The recipient receives the goods and records the inward supply in his books of account on 01.09.2017. How will the inward supply of the recipient and outward supply of the supplier match? Ans. As per Section 37, details of inward supply of the recipient should match with the outward supply declared by the supplier for the current tax period or for the earlier tax period. In this case, the inward supply of the recipient is filed for the period September 2017 and will match with the outward supply of the supplier filed for the period August 2017. Q14. How should the assessee disclose the details of inward supplies on which he wishes to avail input tax credit? Ans. In FORM GSTR-2, against each inward supply at invoice level, the assessee has to state whether he is fully eligible, partially eligible or not eligible for availing credit on such inward supply. Further, in case of invoice level details cannot be mentioned, the assessee can specify the quantum of ineligible input tax credit on inward supplies, which are relatable to non-taxable supplies or for a purpose other than business. Also, he has the option to accept, reject, modify or do nothing regarding an input tax credit. Q15. After finalization of outward supplies and inward supplies, what is the next procedure? Q16. Whether an assessee under composition scheme is required to furnish details of inward supply and outward supply? Ans. No. An assessee under the composition scheme is not required to file GST return specifying the details of inward and outward supplies. Such assesses are required to file quarterly returns in FORM GSTR-4 within 18 days from the end of the quarter. Ans. FORM GSTR-4A contains the details of inward supplies received by composition suppliers from registered taxable persons, debit/credit notes received and tax deducted at source. This statement is auto-populated from Forms GSTR-1, GSTR-5, and GSTR-7 filed by other assessees. Q18. What are the details that are required to be submitted in FORM GSTR-4? Q19. What are the returns to be furnished by a non-resident taxable assessee? Ans. A non-resident taxable assessee is liable to file GST Return – GSTR-5 for furnishing the monthly details of inward and outward supplies, debit/credit notes, tax paid details, details of closing stock and refund claimed if any. The return should be furnished by 20th of the month succeeding the tax period, or within 7 days from the last day of the validity of registration. Q20. Whether Input Service Distributor is liable to furnish details of inward and outward supplies? Ans. Input Service Distributor is not liable to furnish the details of inward and outward supplies. Input Service Distributor is liable to file the return in GST Return – GSTR-6 on or before 13th of the month succeeding the tax period. The details relating to input tax credit distributed is communicated to the recipient in Part B of FORM GSTR-2A. To read more about the Goods and Services Tax in india, click here. 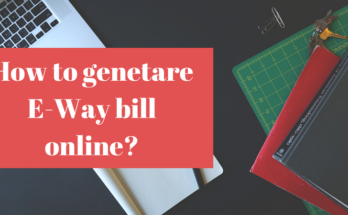 How to generate E Way bill online? Previous Article Investment Banking 101 – What is an investment Bank and what are its functions?